25% of Montreux units are the Licosa floor plan which is a 2nd floor inside unit (2 units per building). 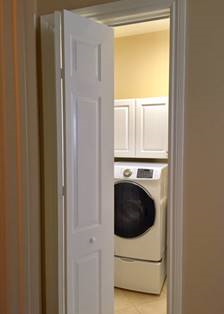 They have an annoying hinged door into the utility room which I would characterize as a design flaw. But it is a fixable problem! ​The problem is the existing hinged door opens into the utility room and blocks the deep laundry sink inside, also blocking the base cabinet storage and the counter top in the room. You have to step inside the utility room and close the door behind you to access that laundry sink, base cabinet and the counter top inside the little room which is very awkward. Anyone who has a 2nd floor inside condo knows that this is a problem. 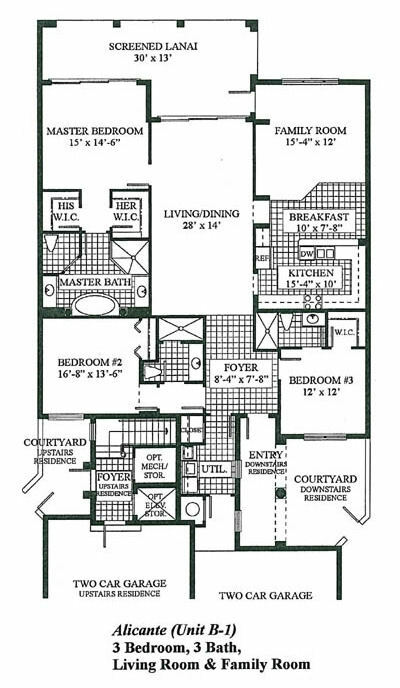 If you don’t have one of these condos, you probably have no idea what I’m talking about. ​What’s worse is you can never upgrade the builder provided washer and dryer to a better front loading machines because those new machines are 4 inches deeper. The existing door to the room hits the nicer machines. We discovered the unanticipated door interference problem after buying a new washer and dryer. I think the original architect maybe was a little off his game when specifying the hinged door swinging into the utility room. This solution took about 6 ½ hours over a couple of days to complete since I was working alone. I’m sure a handy man could be hired to do the work in the same amount of time or less. The Jeld Win door was $180 at Lowes. It is a custom order so you have to wait a few weeks to get it. They delivered it for $79. The wood filler and sandpaper were about $15. 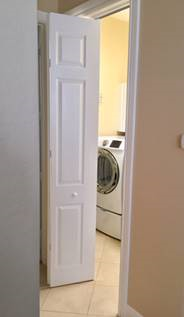 ​ Now access to the laundry room, the washer and dryer, sink , counter etc. finally makes more sense. 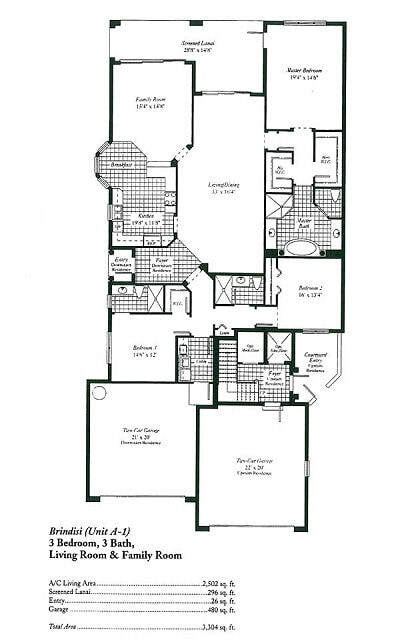 Images of and links to the floor plans are included below. This helpful hint submitted by Phil Infurna - 3705 Montreux Ln. #202 Thanks Phil! My wife decided she wanted to clean behind the washer and dryer this morning which required me to move the machines. I found that the Montreux builder connected the washer water to the machine with those cheap rubber hoses that usually come with the machine. These hoses are a flood problem waiting to happen. In fact, I found that one of ours was already cracking: So I went to Lowe’s and spent $21 for a set of the metal jackets 1500 psi washing machine hoses. ​I would strongly recommend this upgrade for our Montreux neighbors. It takes 15 minutes and a pair of pliers to avoid a major flood. and, he needed to order the rubber washers separately. As you probably have discovered, it’s amazing how noisy our neighbors’ lanai doors can be as they are opened and closed. 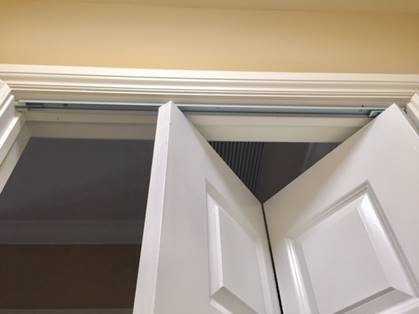 The good news is that EZ Slide Door Repair is offering Montreux a special discount to have our lanai slider doors serviced so that they will slide quietly and be airtight when that north wind starts blowing during the winter months. ​Call them for details: 239-404-5730.